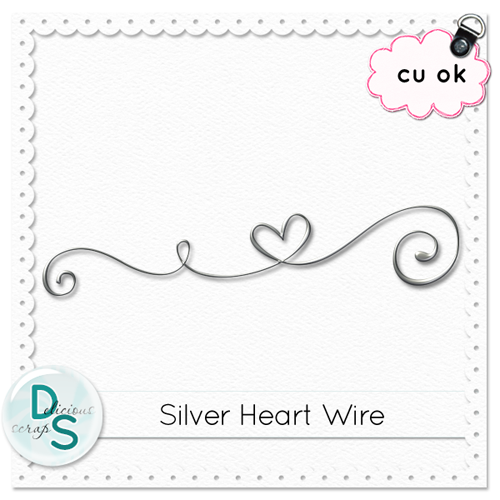 I played around a bit with "Have a Heart" CU Set and made a Silver Heart Wire Freebie. Here is the CU Set in the shop. Thank you for your contribution to the blog train. I love it. And thanks for the direct link..that is greatly appreciated too. Thank you so much for this post. I want to let you know that I posted a link to your blog in CBH Digital Scrapbooking Freebies, under the Page 1 post on Jun. 05, 2011. Thanks again. Thanks for this beautiful doodle ! Thank's for sharing this beautiful silver heart ! Love your wire art! Thanks so much for sharing!